Early Bloomer. 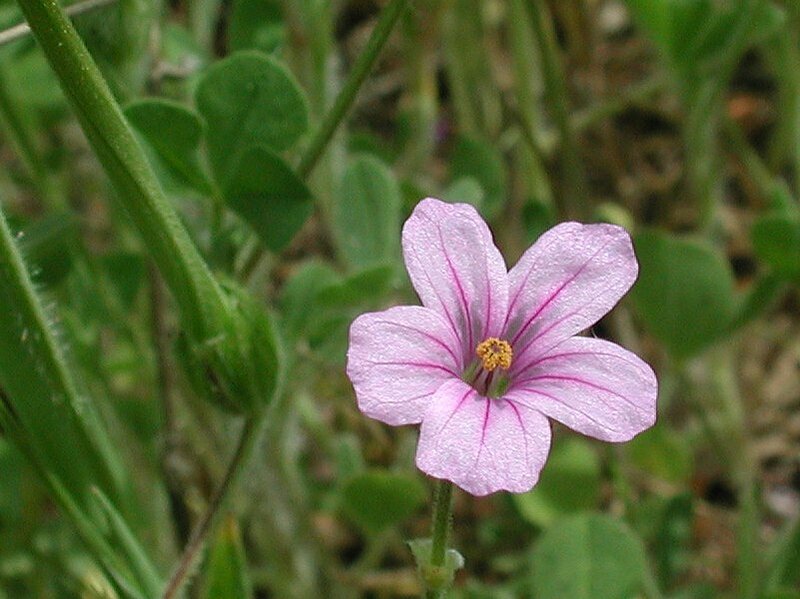 Five petaled, small pink/purplish flowers, beak-like seed pods, weedy. Also called Scissor Plant. Seed pods coil to resemble clock springs. Notes: Geranium family. See notes for Red-stemmed Filaree. 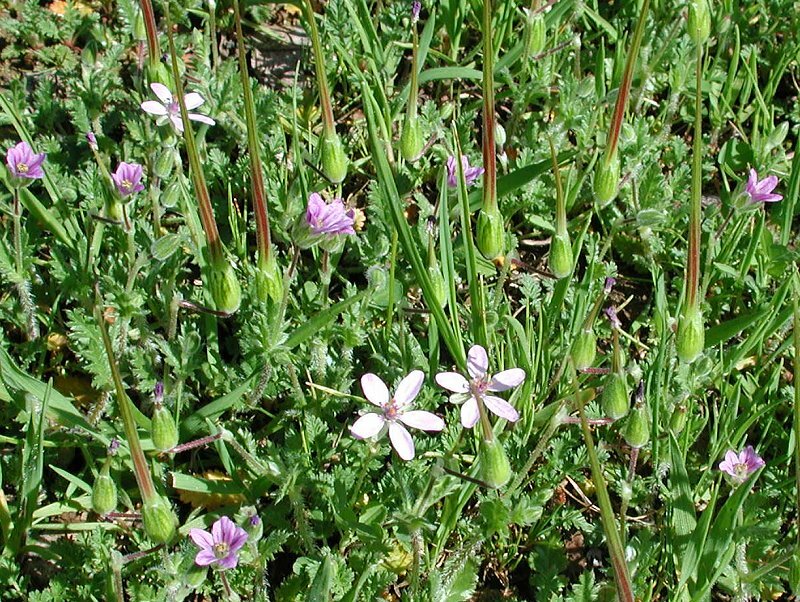 The Long-beaked filaree (Storksbill) grows low to the ground and has many characteristics in common with red-stemmed filaree. A notable difference is the shape of the petals. 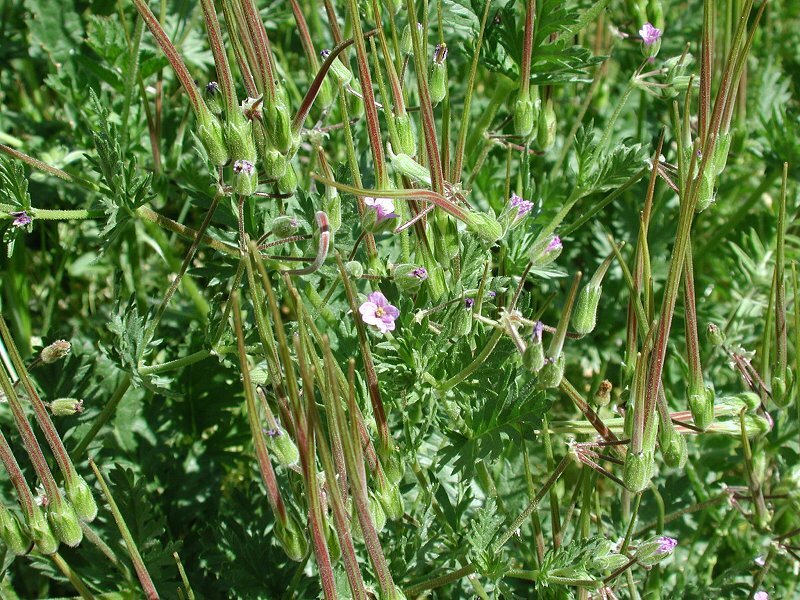 The long-beaked storksbill's petals flare out together to form a horn, while the red-stemmed filaree's petals splay out separately. See example photos below. 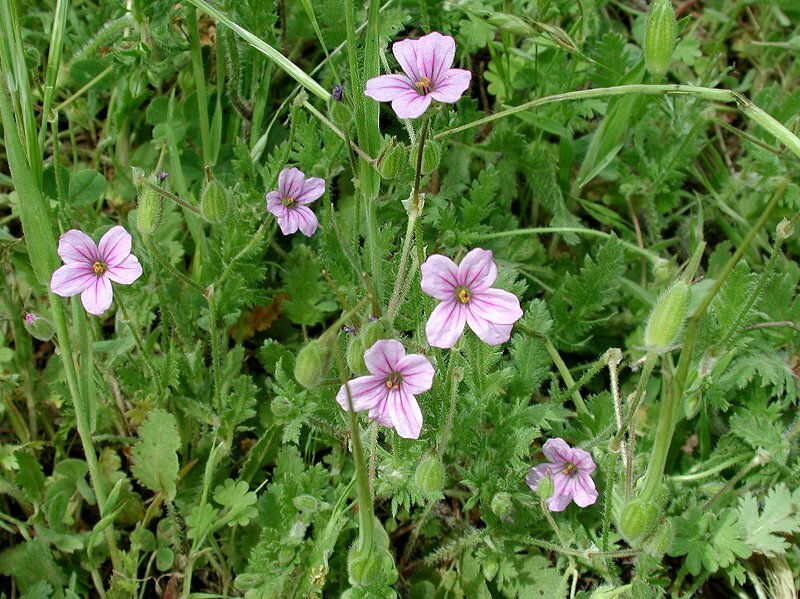 Species Erodium botrys (Cav.) Bertol.